I was perusing some of the older pieces on the site today and came across this piece from many years back about the expanding role of the player in additional content. As far as console games go, I'm afraid that I was quite incorrect in my predictions. 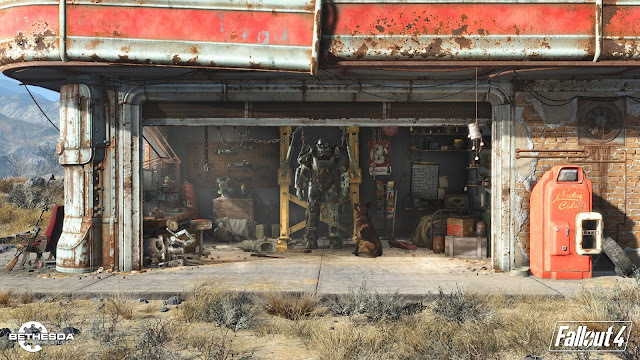 Fallout 4 may be the closest thing we see to my optimistic view of the future. Downloadable content. This generation of consoles is well acquainted with the concept. Additional maps, weapons, vehicles, missions, songs, stories, costumes, what have you. The games that survive the test of time in this generation are the ones with regular downloadable content be it in the form of microtransactions, episodic gaming, or just regular updates and fixes from the developers. When you look at the past couple years, you should notice this easily enough. Halo 3 was released more than a year ago, and with the regular updates and maps Bungie has provided the fans, they've managed to keep their game fresh. Harmonix releases new songs for Rock Band every Tuesday. Even Ace Combat 6, though the multiplayer is now inhabited only by the most terrifying of pilots, releases fairly regular updates and even new missions for download. Gamers get bored easily, it's no secret. Our attention spans are so short that most games don't last more than six months in our homes before they're passed on for the next title. Sure, some old stalwart classics remain, but how often does the average gamer play them? I think we've already been over that. With downloadable content, developers can trick us (just a little) into thinking we're playing something entirely different, just by adding, tweaking or upgrading. Map making has been around for a while, as have developer crafted modding tools for games. Valve is famous for releasing comprehensive development software for their Half-Life engine, resulting in Counter Strike, Team Fortress and a slewough of other titles. Bungie released map making tools for Myth and Myth II back in the day. The one problem with these tools was the steep learning curve for novices like me.